NOTE: The 2.4G version is still under testing. My 2.4G version is working with the diagram shown below but the module seems to be defective since there is continuity between ANT and ANT GND which causes the module to have a terrible range. Thus, for now I won’t be able to make sure that the 2.4G version is fully working. Then, information concerning the 2.4G is only provided for beta testing. Since I finally have my HD’s, I’m going to explain you how make a module for Fatshark Dominator goggles (or other Fatshark goggles, but this will require more work). Before getting started with the making, we’re going to see how Fatshark’s modules work. I. How do Fatshark’s Modules work? Of course, all put together, ready to use! 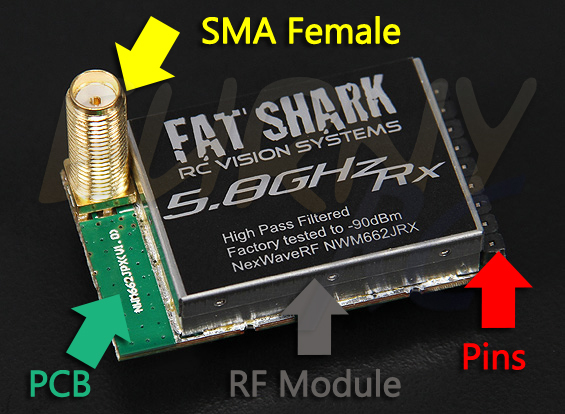 But, we are lucky, Boscam sells (like Airwave, the company that makes Fatshark’s RF modules) the RF module only. There are two versions : for 2.4G (RX2188) and 5.8G (RX5808). Now that we know how these modules work, we’ll be able to make one ourselves! 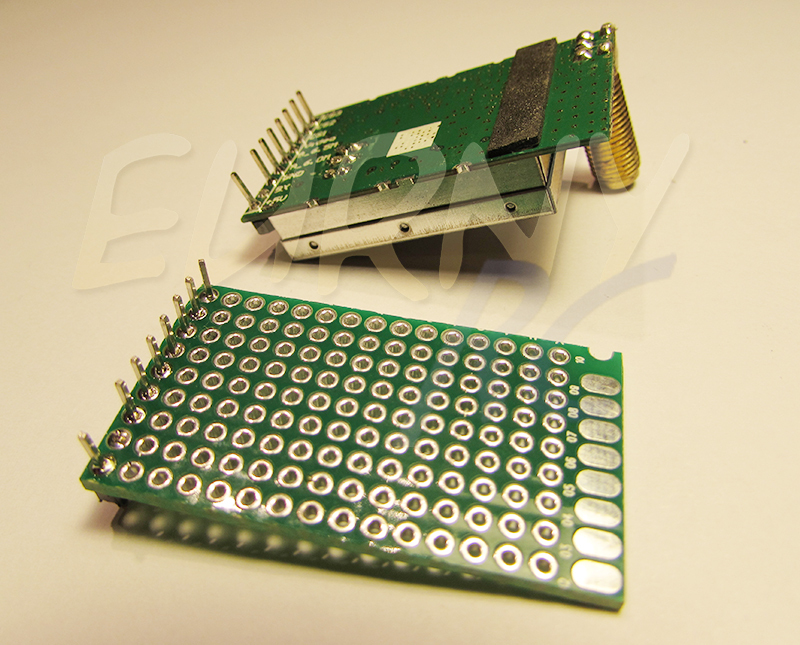 Take your PCB plate and cut it out to get it 42.1×24.81mm big. After some cutting, there you go! Be careful, usually the headers are a little bit short. push them a little bit forward with a plier. Surely one of the toughest parts, soldering it correctly. The SMA needs to be straight and shouldn’t obstruct the door closing. I soldered a servo wire on ANT GND (see the diagram below) on one side and on the SMA on the other side. I then soldered the SMA’s inner pin on ANT (see the diagram below). I highly recommend you to add some hot glue in order to strengthen it. Before gluing the module on the PCB, I added some tape on the PCB to avoid short-circuit. Then I glued it in order to have the SMA connector matching the door’s hole. The SMA connector must be in the PCB’s upper left corner. We’re now going to cut the servo wires and bare them a little bit on both ends. The wire’s length depending on which pins you’re going to solder. The length being different for each pin. Don’t forget to check that all of your soldered joints are independent from each other before hot gluing. Some hot glue later, ready to use in my HD’s! And you’re done, you can now use very cheap VTXs for only $15! 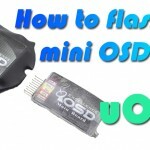 ← What is FOV in FPV? Thanks for the tutorial, it is a couple of years that I am using the RX5808 module in my Dominator goggles without a single issue, but there is no way I can make the RX2188 work! When you say “the 2.4G version is still under testing” what do you mean? In my case I solder everything up but the goggles do not recognize a module is plugged in and all I see is a dark gray screen. I also have an RX2189 module, but same story: gray screen. I have tried to reach you on the phone today and I missed out when you had called me back. I’ll update the article concerning the 2.4G version. Mine is working but I have continuity between ANT and ANT GND whereas there should not be one. This caused the module to have a terrible range despite working correctly. Hi, can I use your pictures on our blogsite (fpv-team.de) and make a translate entry into geman with a copyright backlink to your site? It works, but I am unable to change channels with buttons on the fatsharks. Have you wired correctly the three wires going on CH1, CH2 and CH3? found this site today because I am waiting for the Dominator V2. 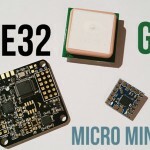 I fly with video in 2.4G in all my miniquads and other FPV stuff, using the small 200mW TX24200 modules. 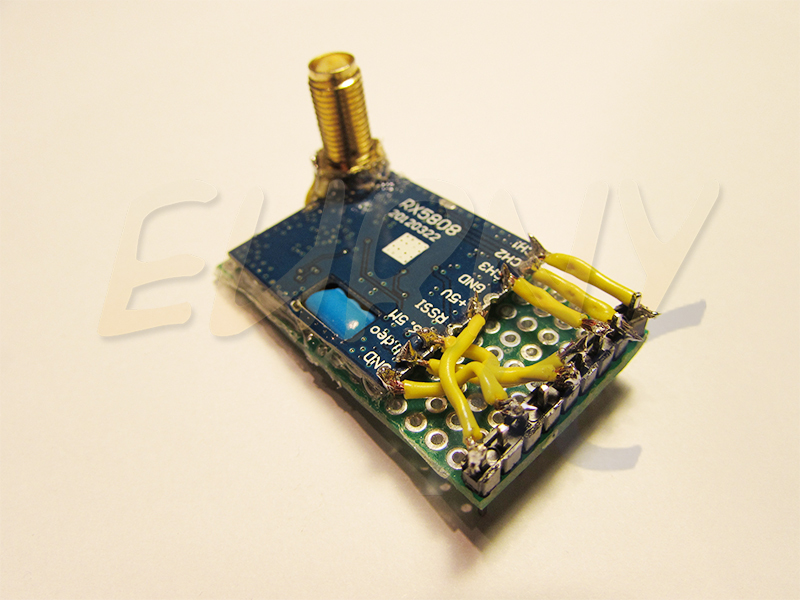 I now need a RX 2.4G module for the Dom’s, if it could be DIY…great. 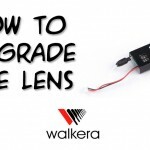 I see people having some trouble with the RX2188/89, in the end did you manage to solve the problem? Do you know if the Dom’s use the SPI interface or the binary logic to change channels? Does anybody already test the CH3-1 output logic to see what going on there when you change channels, that could help troubleshooting why there is no display on the googles. 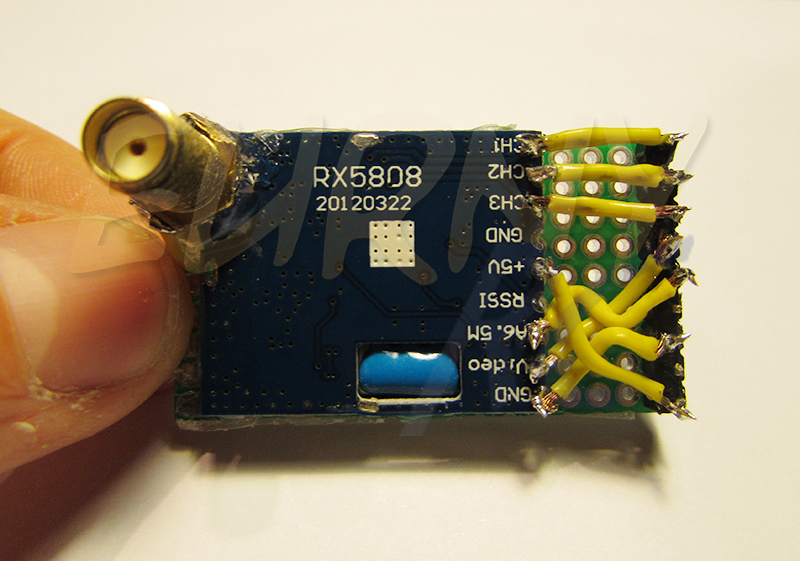 I already use the RX6788 on a DIY diversity, works well, I will try with a spare I have at home. Only problem with this module is that it uses CH3-1 and BX. Thank your for your comment! 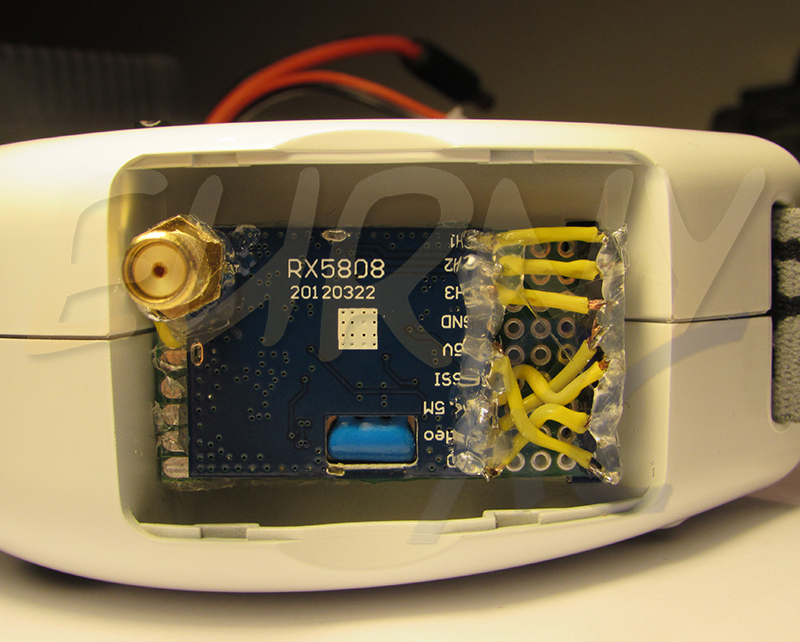 First of all, my 2.4Ghz version with RX2188 worked fine in my Fatshark dominator goggles. 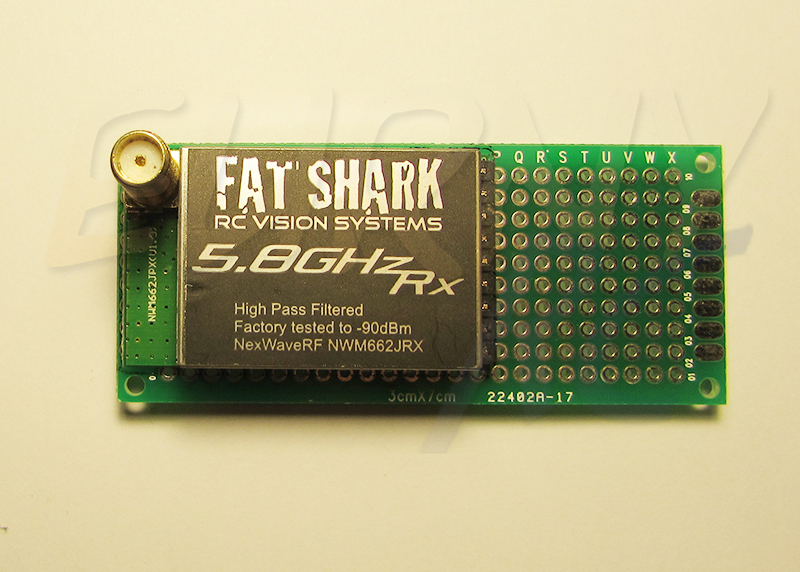 I could change channels just like my Fatshark’s RF module. 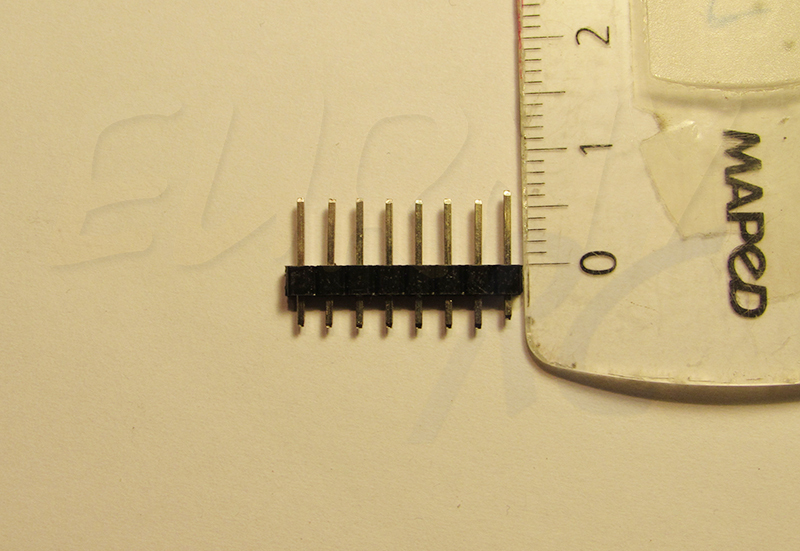 However, due to a manufacturing defect on the RX2188, there was a short between the ANT pin and GND. Thus, no matter what antenna I’d use, the range was very short. So the DIY module was working flawlessly, the only issue was the manufacturing defect of the RX2188. PS: Sorry for the long delay, I have been extremly busy recently and didn’t take a look at my website. Would you happen to have a resource for the tx24200 ? thanks. No I don’t. However I know some people managed to make it work! I have post my module pictures in RCGroups, is working fine with the RX6788, but only did two field tests, I now fly mini quads most of the time, but I went to at least 200m and the picture was fine. 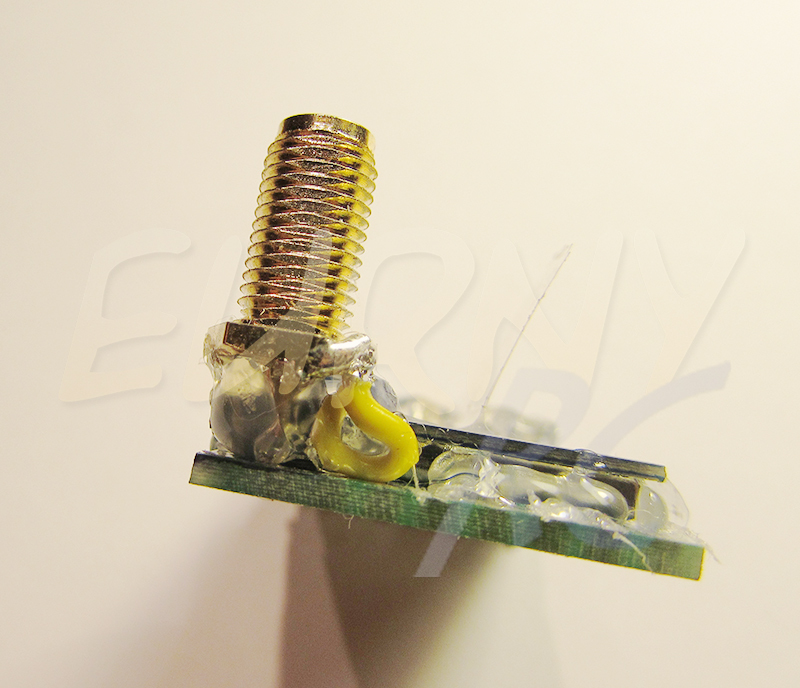 My module also shows a short on the antenna while disconnected from power, probably is the way it is to protect the circuit while not transmitting, but this is only a guess. Nice knowing that it works! I might give it a shot too once I’m more available! As for the RFin continuity, that’s pretty awkward but since you get a correct range I guess you’re lucky! 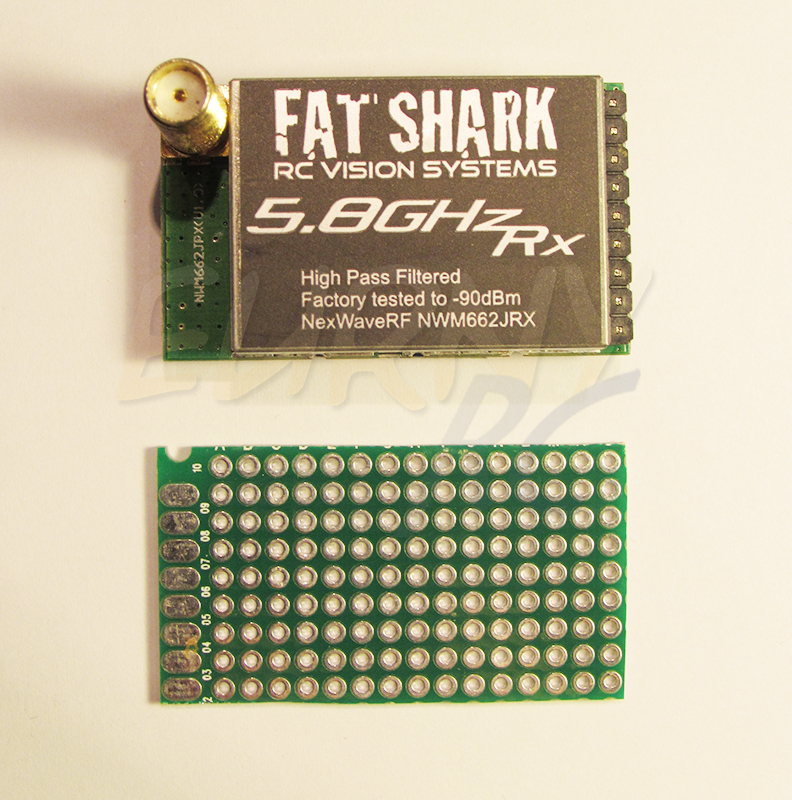 received today a FX159-R, a new receiver module available at BG or other sources, with support for 32CH (no Raceband), the pinout is fully compatible with Fatshark, just don’t connect S1 and S2 to the goggles but instead to a dip switch to select bands. Thanks for the tutorial, its a great project which I’m going to start making next week. I’m just wanting to find out how you know what channel the module is on when you are switching channels? Also do you have to do the SPI mod to the Boscam module to get the channel switching to work via the goggles? Since the module used is 8 channels, you can switch between channels like you’d do on any other Module. There are no switches to change bands because you’re limited with the Boscam band.